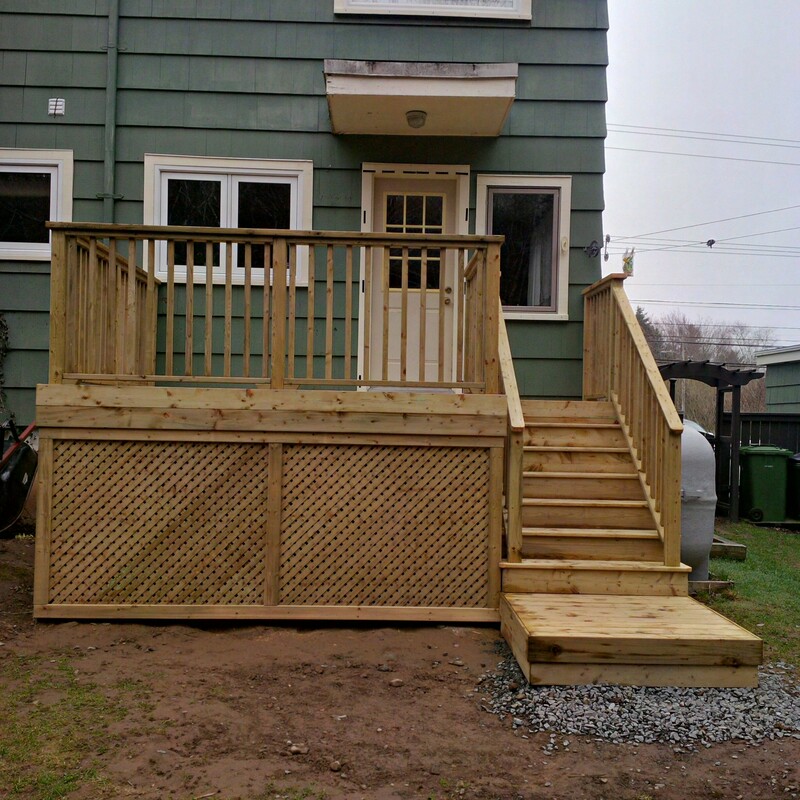 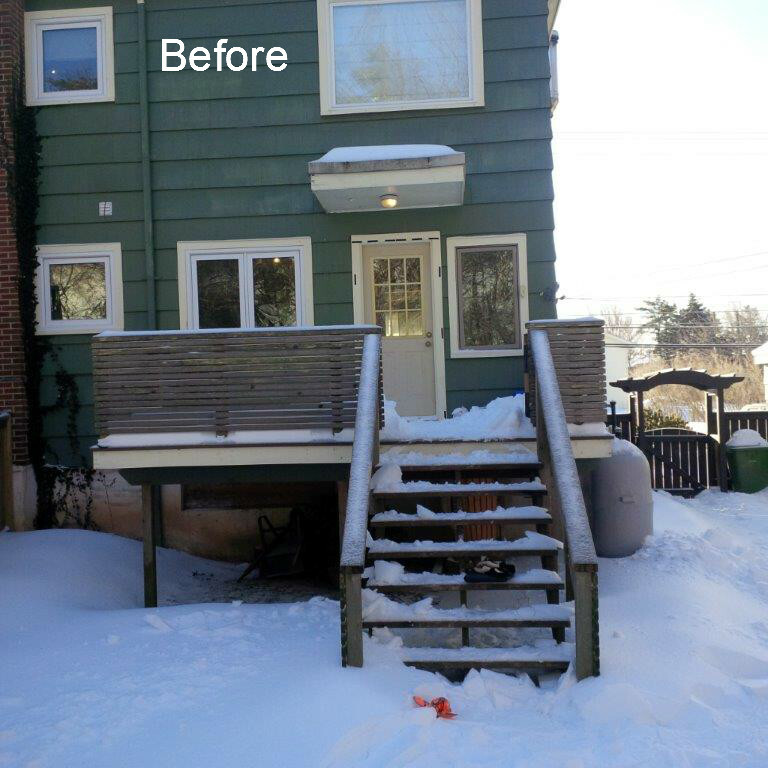 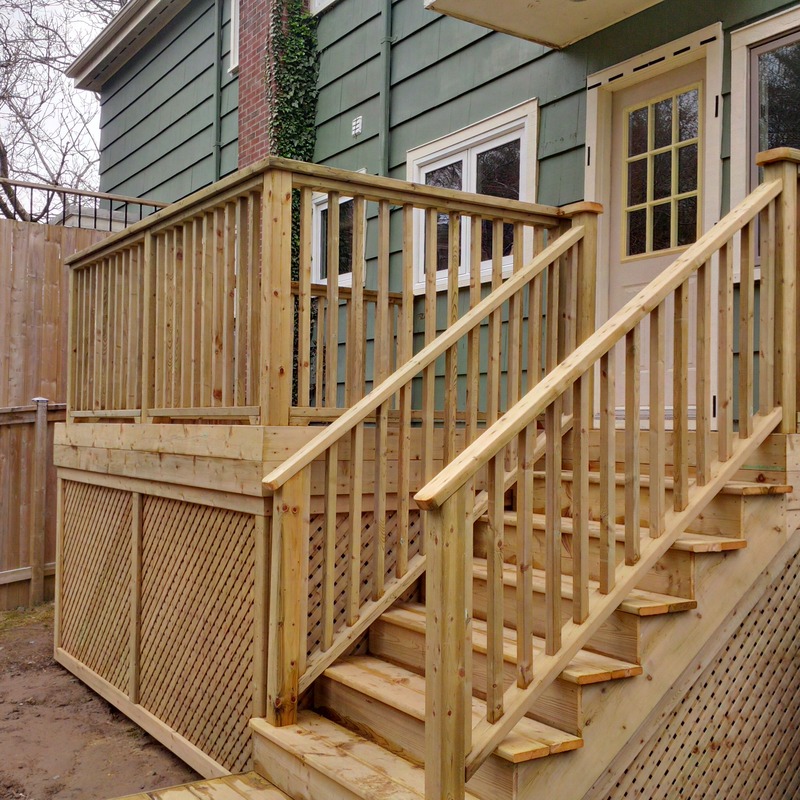 This deck is built using pressure treated wood, one of the most popular choices in deck material, making it look clean and sleek. 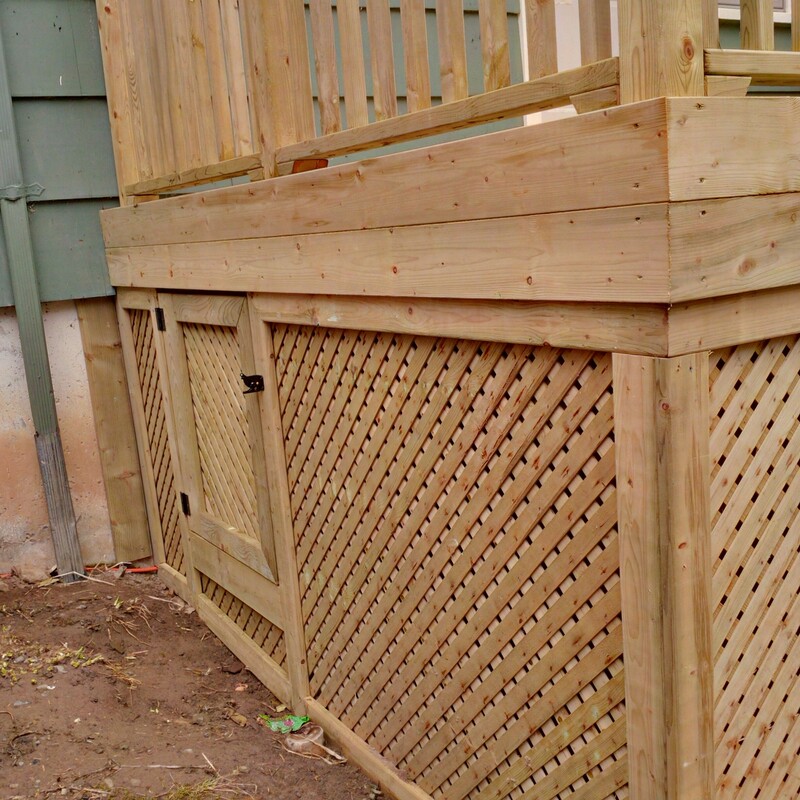 Privacy Plus lattice skirting and a gate to allow for storage underneath. 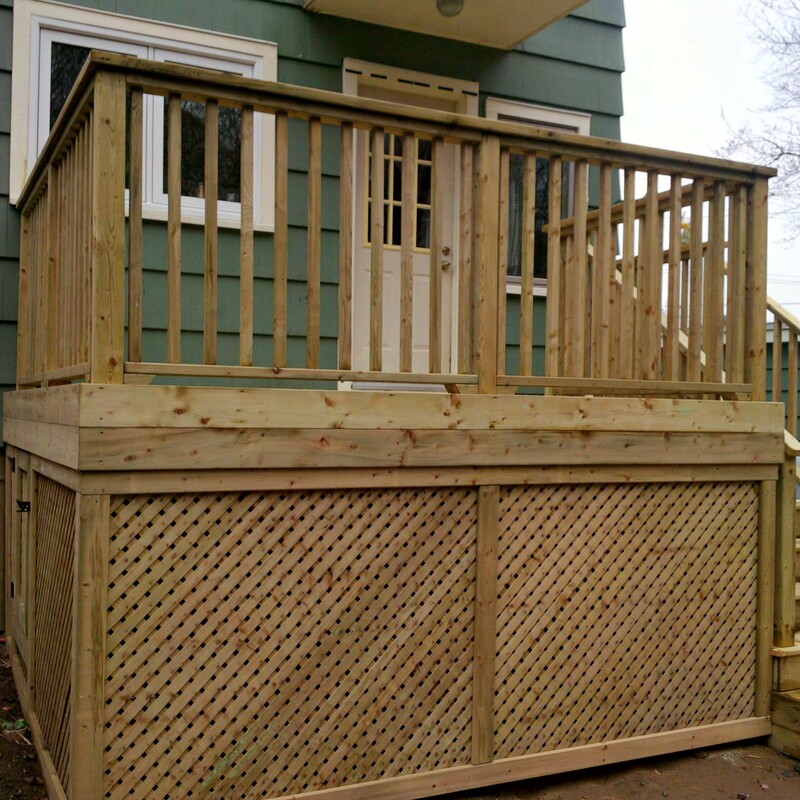 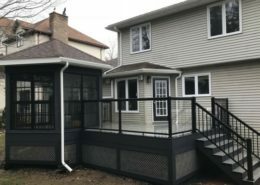 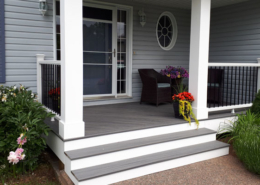 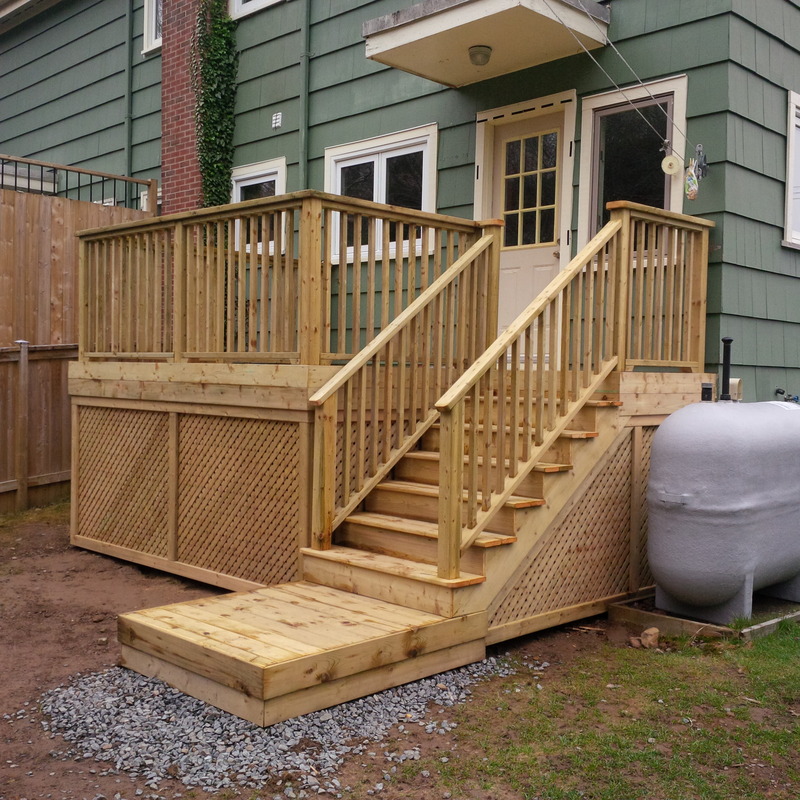 Privacy skirting to enclose the bottom of your deck with a gate to access underneath provides you with extra storage, great if you have limited space.